From a book club in Texas we now head to a poetry library in Scotland. 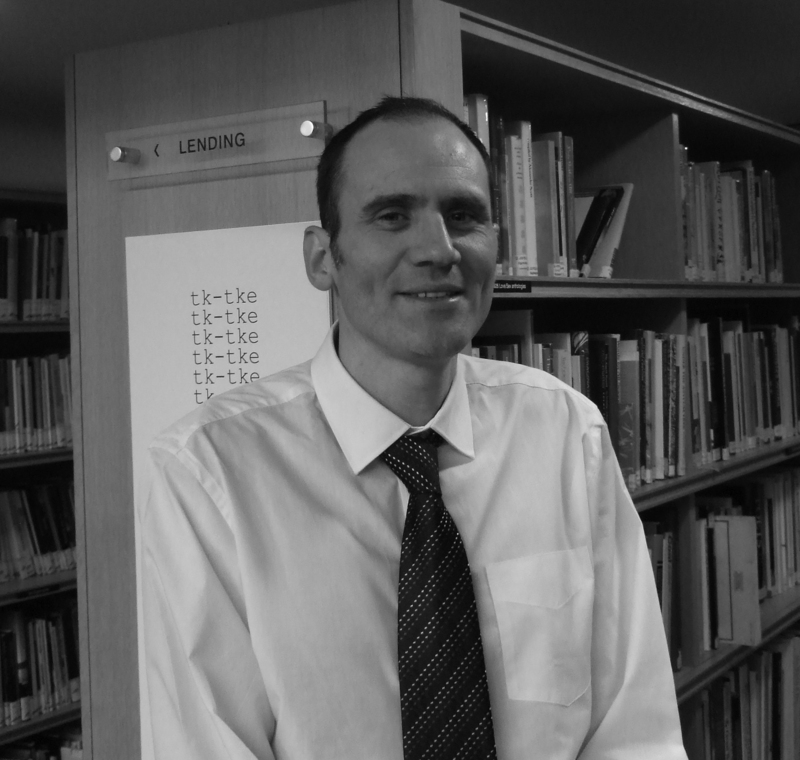 Colin Waters, Communications Manager of the Scottish Poetry Library (SPL), shares with us his thoughts on the appearance of the mysterious book sculptures in the SPL and around the city of Edinburgh. What could the donor be trying to say? How have the mysterious sculptures helped promote literacy and libraries in Scotland and around the world? Edinburgh likes its literary mysteries and magic. After all, it has been the home of the creators of characters such as Sherlock Holmes, Harry Potter and Inspector Rebus. In 2011, an enigmatic piece of art left at the Scottish Poetry Library began a story that has fascinated not only residents of the Scottish capital, but people around the world. The SPL is a unique resource. There are only three poetry libraries in the UK, and only one based in a building specially designed to hold a poetry library. 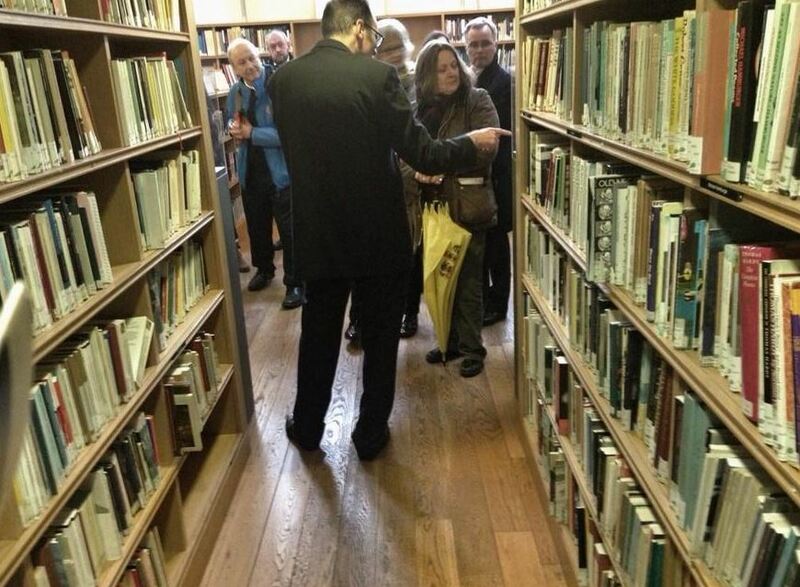 It has over 45,000 items within its walls and is the world’s leading resource for Scottish poetry. There are many stories attached to the SPL, but perhaps none more special than that of the book sculptures. In March 2011, an astonishing piece of art was left in the SPL without any clue as to who had left it behind. The piece was punningly titled ‘The Poetree’, because, obviously, of the location it was left and, well, it’s a tree. The SPL’s motto is ‘by leaves we live’, which is taken from the great Scottish thinker and planner Patrick Geddes. His phrase was a pun too – the leaves he was referring to was both the kind one finds on trees and in books. Geddes believed our salvation lay in protecting the environment and promoting literature and thought. Our librarian Julie Johnstone discovered the ‘poetree’ on a table upstairs. There was a short note beside it that spoke of protecting libraries and promoting literacy, but that was the only clue as to what the anonymous artist had in mind. We took pictures of the book sculpture and shared them via social media. The response was incredible. People were as excited by the circumstances surrounding the artwork’s appearance as they were by the piece itself. We had media inquiries from as far afield as New York and Berlin, while visitors poured into the building to see the ‘poetree’ for themselves. We were grateful for the attention, but didn’t think there’d be any more to it that that one book sculpture. How wrong we were. Over the next nine months, another eight sculptures were found in Edinburgh institutions associated with art, learning, and libraries. If the response to one sculpture turning up was electric, you imagine the effect another eight turning up around Edinburgh had. Like at the SPL, the sculptures were left behind by the anonymous artist, who somehow evaded detection. Each work of art was beautiful, witty, and clearly the product of many hours of labour. We enjoyed watching the story unfold, but didn’t expect to be part of it again. But at the end of 2011, we discovered we had been lucky enough to be given the last of the original set of book sculptures left around the capital. In this case the sculpture was inspired by a poem by the great Scottish poet Norman MacCaig that spoke of a ‘cap of wren’s feathers’ and ‘gloves of bee fur’, which is just what the sculpture depicts. If we had asked Don Draper or Saatchi and Saatchi or any other advertising genius to come up with a campaign to advertise the SPL and libraries, they couldn’t have come up with anything as ingenious. But then I think part of the success of the works of art is that they were clearly done for no other reason than love. Love of what libraries do and love of making and sharing art. And for that we at the SPL are very grateful. So d o… as the city of Edinburgh is doing – cherish writers and our common heritage of the written word. 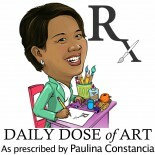 This entry was posted on November 26, 2014 by Paulina Constancia in Communicate, Connect and tagged inspiring communities, literature, sculpture.